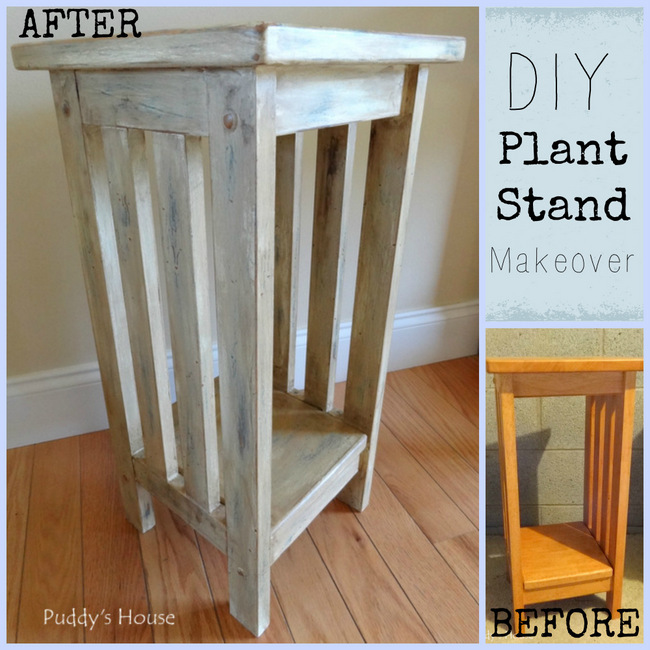 I had this little plant stand around the house, and while we used it many places before it wasn’t in use anymore, so I decided to give it a makeover. 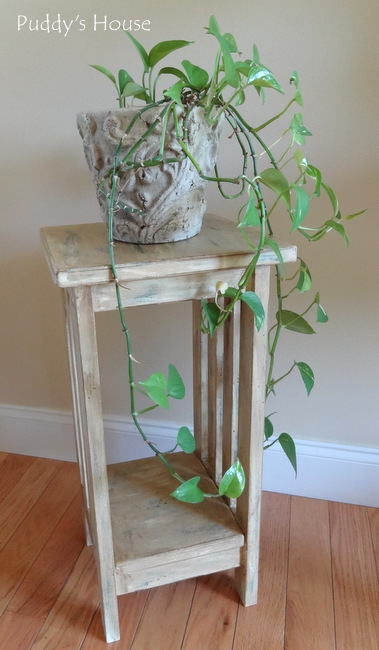 When we first moved into our house, Bob had this plant stand and it was unfinished. 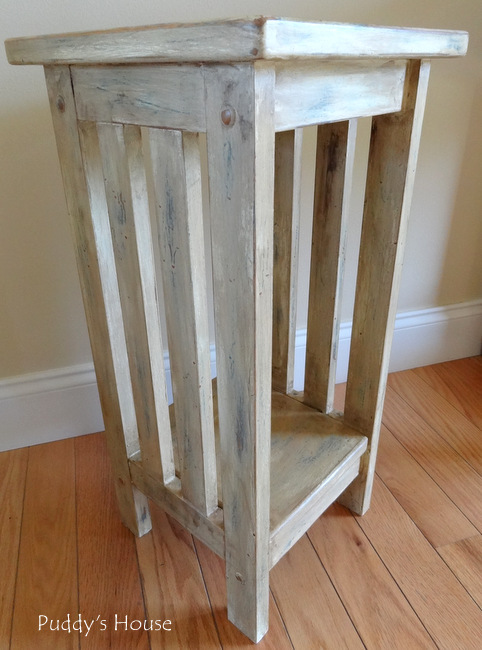 I had the great idea to stain it, but I choose too light of a stain, so I never really liked it. 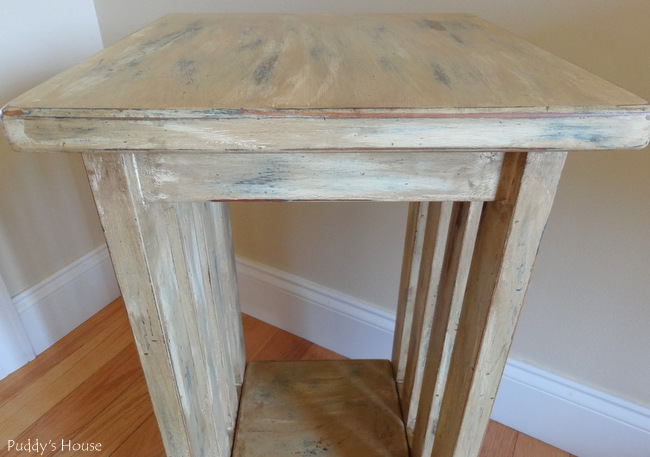 It was the perfect candidate with an update of some Annie Sloan Chalk Paint. I started with Aubusson Blue. 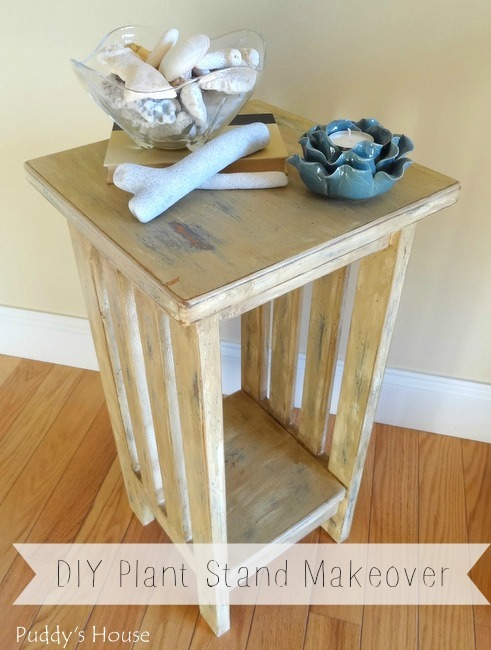 If you have never used Chalk Paint before, the beauty of it is that you don’t need to sand or prime first, so it makes it faster and simpler to update with a fresh coat of paint. 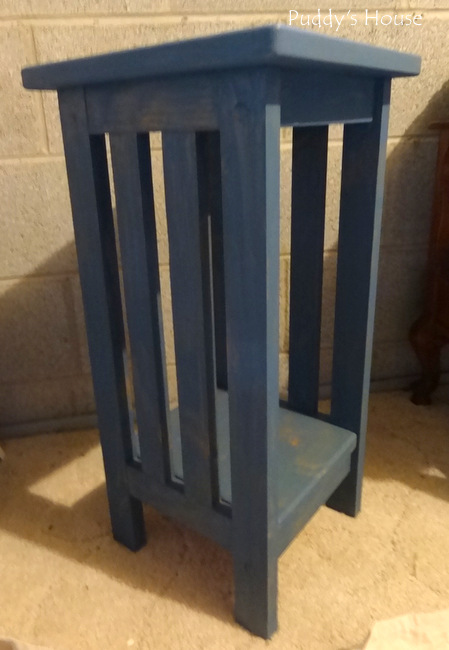 I put one coat of blue on the plant stand. It definitely wasn’t enough coverage if I was leaving it blue, but I wasn’t. I was going for a layered look. 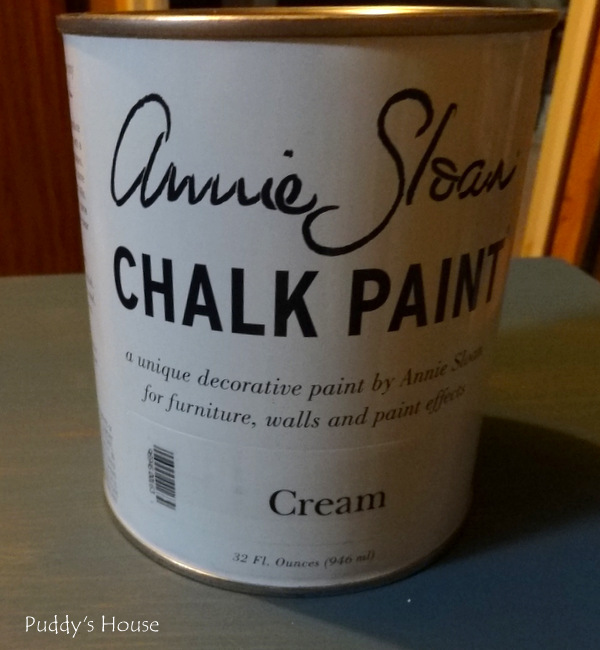 So, next I applied Annie Sloan Cream. 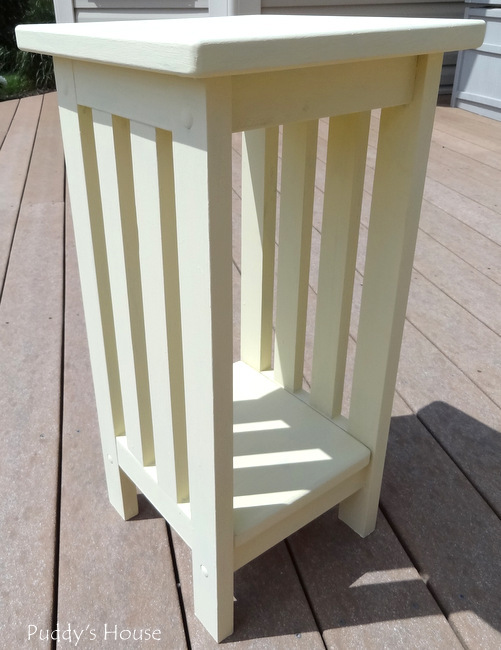 I applied two coats of the Cream all over the stand. At this point, there was not much blue peaking through anymore. So, I took it outside and began to distress it to show some of the blue. 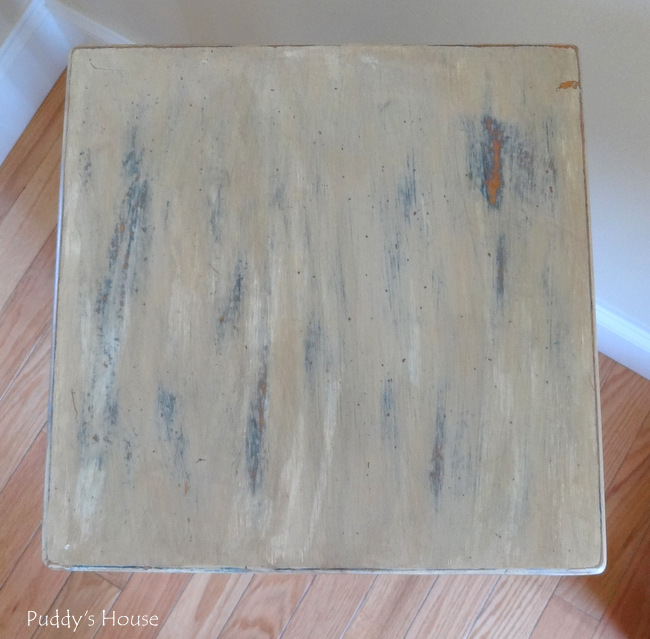 I used a fine grit sand paper and just sanded certain areas. Now, you could see the layers of paint and even some original wood. Next up was a coat of Annie Sloan Dark Wax. I applied it allover the stand with a clean cloth and then buffed immediately with the cloth. 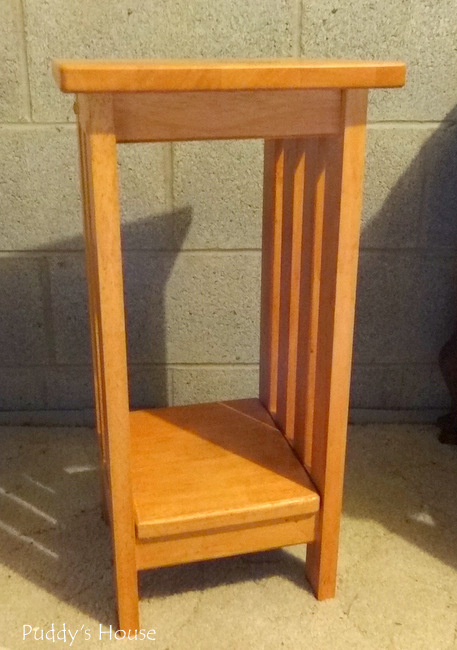 It really gave this simple little piece of furniture some character. I really like how you can see all of the layers at different points. It was fun to really change the look with just some paint and wax. Since it is technically a plant stand, I tried it with a plant on it first. I actually think this is the plant that we used to sit on it. 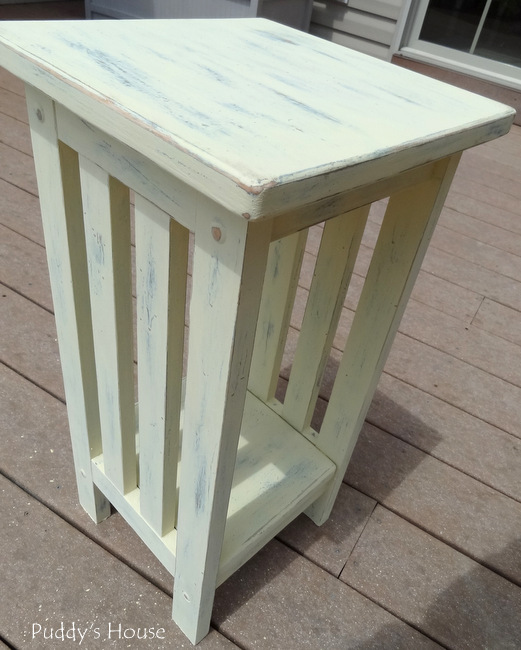 I think it looks cute with a little beachy vignette too. This was my first furniture piece using wax and it was easy to use and gave me good results. I’m sure I’ll be using it again. 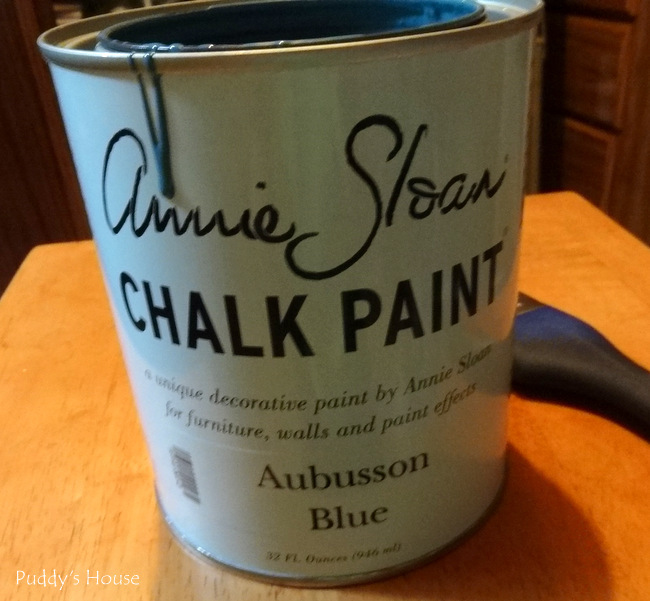 Have you updated anything with Annie Sloan Chalk Paint and wax?